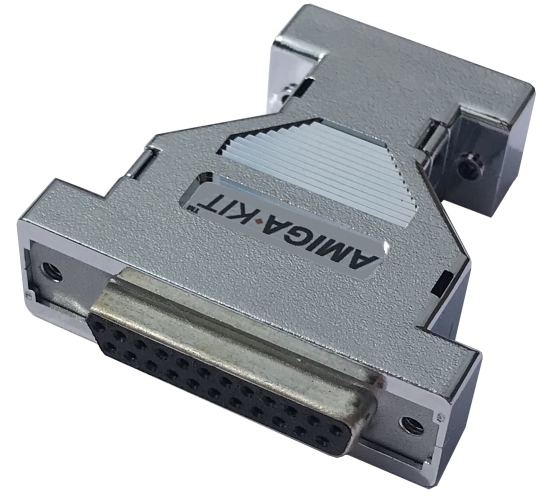 VGA adapter to connect a SVGA*/Multiscan monitor to the Amiga RGB port. This display modes also have the advantage of better refresh rates than standard modes. Adapter features a 23-pin female to 15-pin female. Supplied with two page instructions. Choose between two versions: unbuffered for A500+, A600, A1200 or buffered version for "big box" Amiga systems. Please Note: due to the lack of supply of 23-pin connectors, we are now forced to supply trimmed 25-way modified connectors which have been cut down to 23-way (2x holes removed). 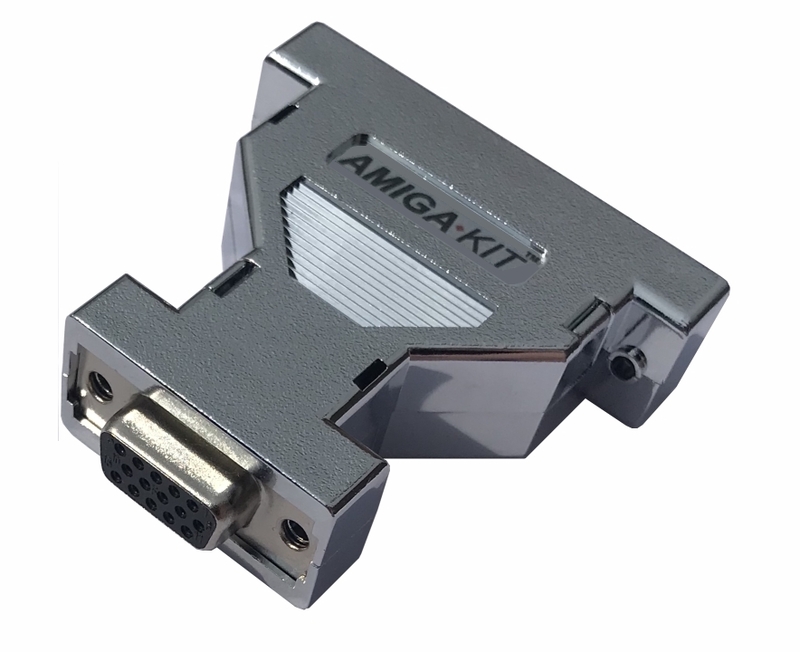 These modified connectors will fit the Amiga's video port without any problems. We have now reduced the price of this adapter. * The SVGA monitor must be able to sync to the Amiga's 15Khz signal (most CRT monitors have no problem doing this). Some LCD monitors such as DELL U2410 or BENQ BL702A sync down and support 15Khz- check your monitor specifications for more information. Adapter may vary in appearance.